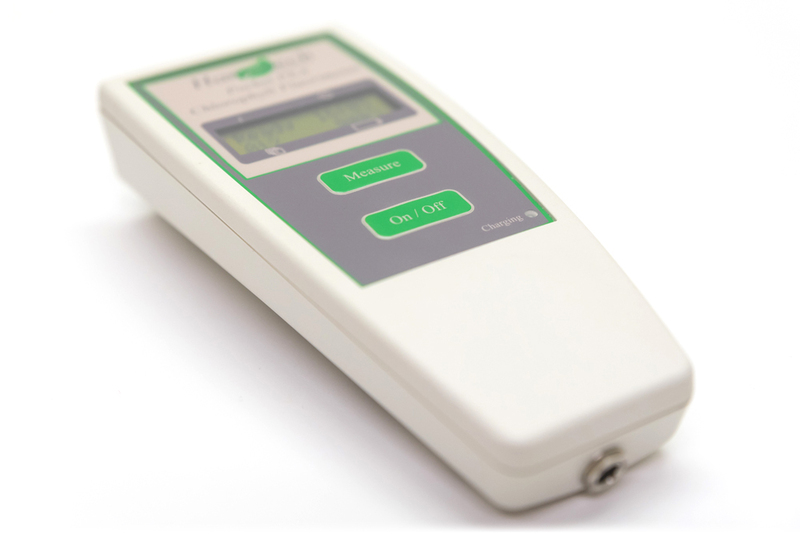 The Pocket PEA chlorophyll fluorimeter is suitable for teaching, research and a wide variety of commercial applications. The robust yet compact hand-held design provides ease of use and reliable operation. 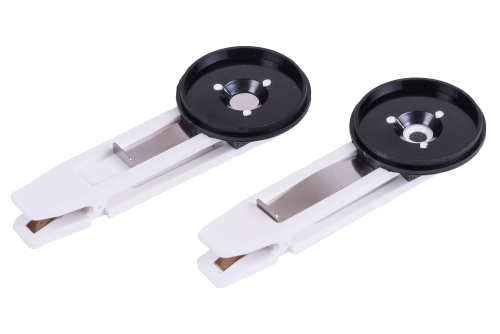 Samples are conveniently dark adapted prior to measurement using the leafclips supplied. 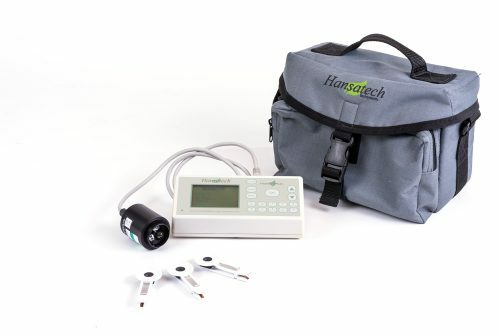 Single-button operation fully automates the complete measurement process from data capture through to calculation and display of the key and Performance Index ( ) chlorophyll fluorescence parameters. The rapid 1-second measurement capability and 200 measurement memory capacity make the Pocket PEA an invaluable tool in large-scale plant screening programs. The chlorophyll fluorescence signal received by the sensor during recording is digitised in the control unit using a fast 16-bit analogue/digital converter ensuring excellent precision and repeatability of results. The fluorescence signal is digitised at different rates dependent upon the different phases of the induction kinetic. 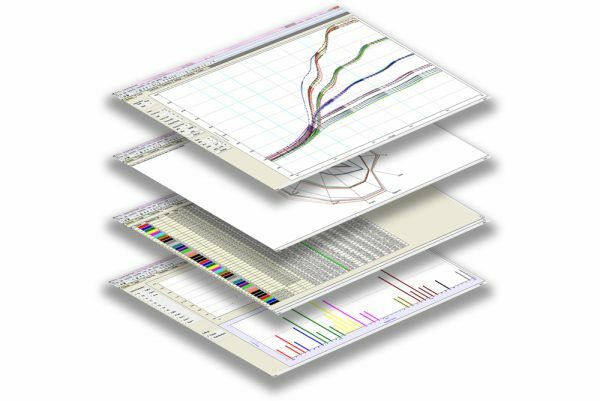 Initially, data is sampled at 10µs intervals for the first 300 µseconds. This provides excellent time resolution of and the initial rise kinetics. 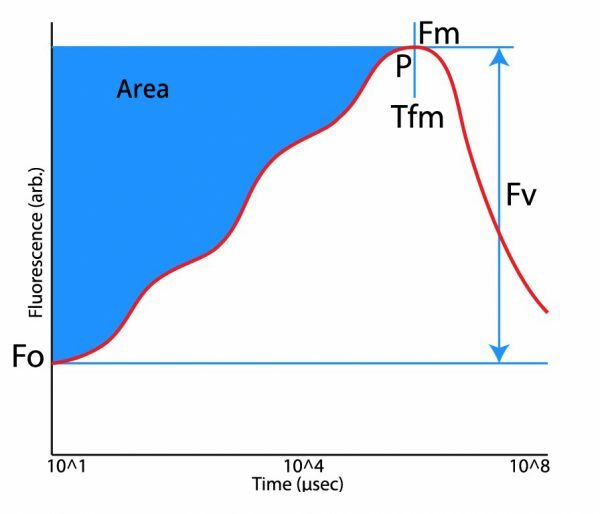 The time resolution of digitisation is then switched to slower acquisition rates as the kinetics of the chlorophyll fluorescence signal slow. This process allows optimum resolution of the overall measurement whilst minimising the size of the data set and thus maximising memory capacity. Bluetooth® wireless transfer conveniently allows records to be transferred in the field from the Pocket PEA to a suitable Bluetooth® enabled PC for detailed review and analysis using our custom Windows® PC software. The Pocket PEA optical interface is mounted directly on to the front of the Pocket PEA control unit. It consists of a single high-intensity focused LED which is positioned vertically above the sample and provides up to 3,500 µmol m-2 s-1 intensity with a peak wavelength of 627nm at the sample surface. The light emitted from the LED is filtered using an NIR filter to block any infrared content which could be seen by the detector (known as optical breakthrough). An optical feedback circuit monitors and corrects changes in the output intensity of the LED which are caused by internal heat build-up in the LED itself. The circuit also compensates for intensity changes caused by variation in ambient temperature. The detector is a highly sensitive PIN photodiode and associated amplifier circuit. The optical design and filtering ensure that it responds maximally to the longer-wavelength fluorescence signal and blocks the reflected shorter-wavelength LED light used as the source of illumination. 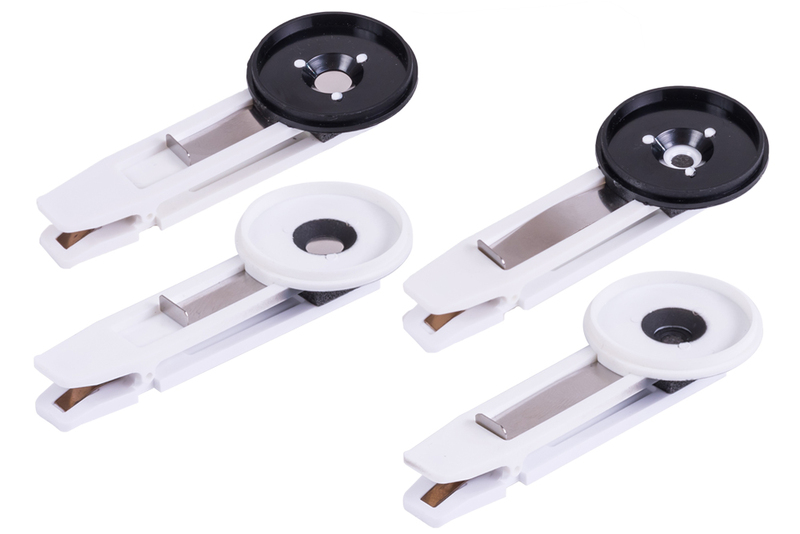 The entire optical assembly is sealed behind a clear glass window which creates a barrier against moisture and dirt which are inherent problems for field-based instruments. The latest lithium polymer battery technology ensures a full day of field usage and the convenience of rapid (<4hrs) recharge to full capacity using either the mains charger provided or an optional 12V DC vehicle charger. Sufficient for up to 200, 10-second duration recordings with full trace data. Use the tool below to enter search terms as required. 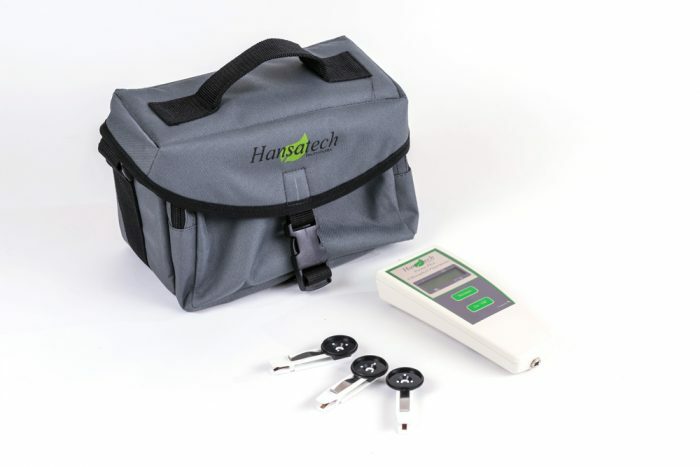 As an example, hansatech instruments Pocket PEA has already been entered into the search box. Press the "Search" button to view the Google Scholar results for this search string.